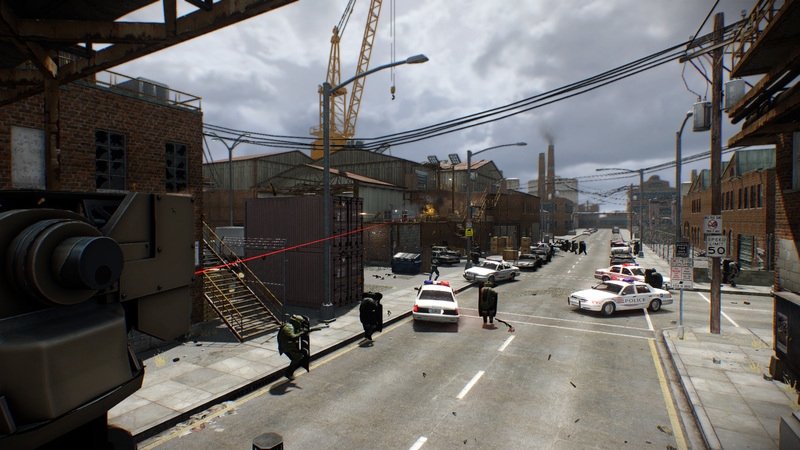 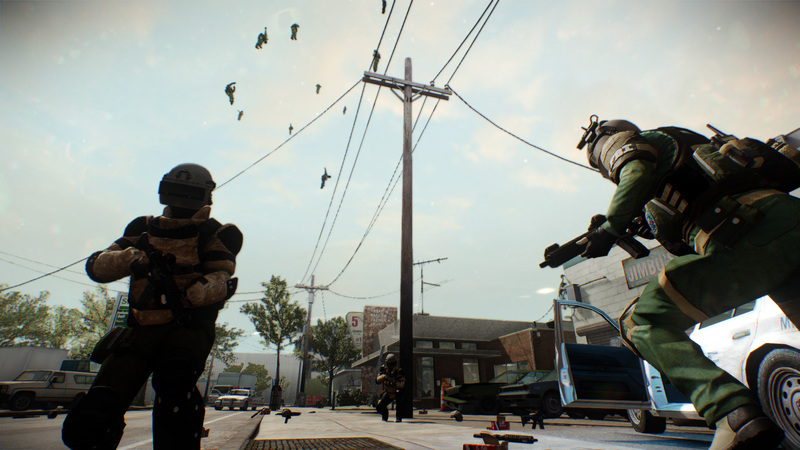 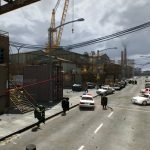 A mod for PAYDAY 2 by OVERKILL Software, that adds numerous features to the game, and implements a variety of extra quality-of-life features for players. 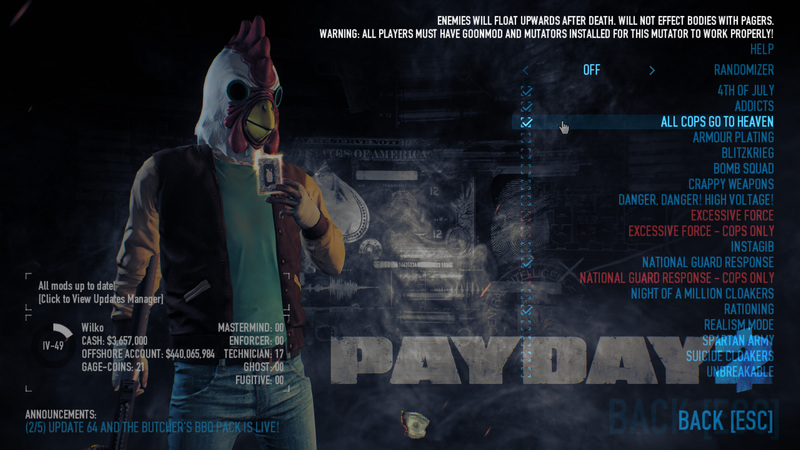 GoonMod is programmed entirely using Lua, and runs using the Payday 2 BLT. 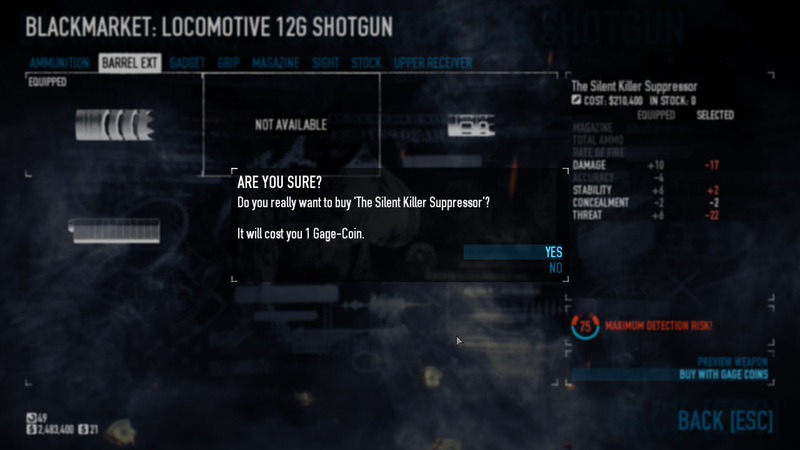 Most of GoonMod has been implemented into PAYDAY 2 proper over the course of the game’s lifetime. 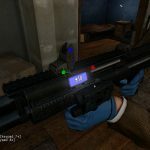 GoonMod is written entirely in Lua, and its source is available on GitHub. 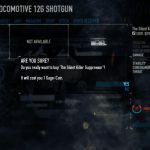 GoonMod is a modular collection of smaller scripts that are all fully compatible with each, and can all be managed individually. 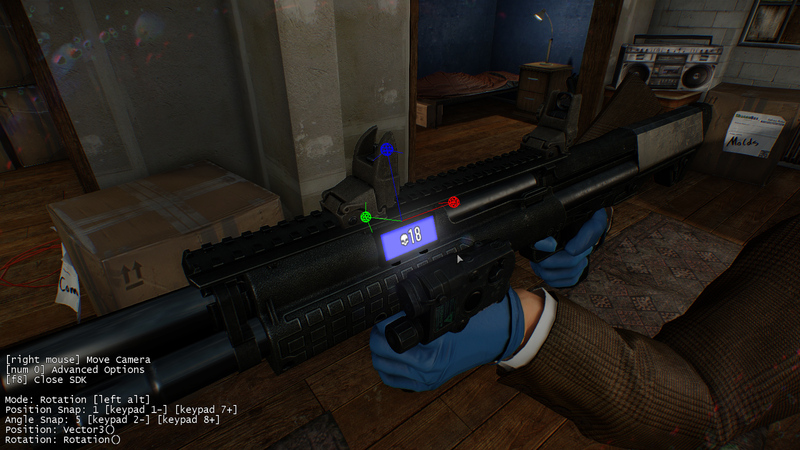 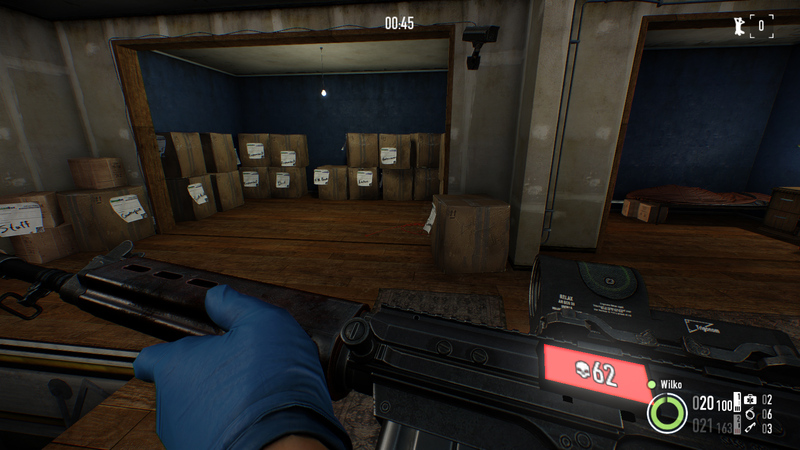 Each mini-mod can be turned on or off as desired, and can be configured in the options menu of Payday 2 individually. 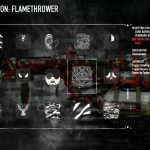 Originally, GoonMod was for forcefully recreating a bug which caused corpses in the game to never despawn. 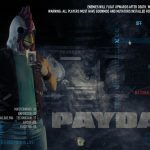 Over time it has increased its feature repertoire to become one of the most popular mods for Payday 2. 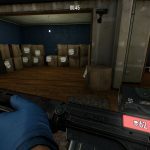 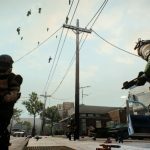 GoonMod was a pioneering mod for Payday 2 that opened the gates to other mods that modified gameplay. 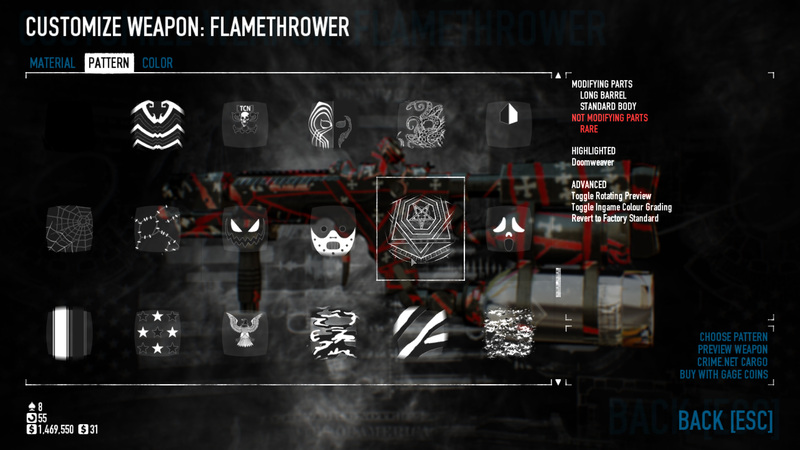 Features and utilities in the mod include gameplay mutators, new unlock progression systems, player-to-player trading, custom CS:GO style weapon finishes, customizing colours for lasers attached to weapons (which are networked to other mod-users), FOV-based sensitivity, various menu tweaks, and a player-customization search bar, among many others.